Uzbekistan's parliamentary elections on December 21 will offer voters a choice, but no hope for change. Only four staunchly pro-regime parties – the Liberal Democratic Party of Uzbekistan, the People’s Democratic Party of Uzbekistan, as well as the National Revival and the Justice parties – can field candidates for the elections to fill the 150-seat lower house, or the Legislative Chamber. They will be joined by representatives of the Ecological Movement of Uzbekistan, which has a “green” quota of 15 seats reserved under electoral law. 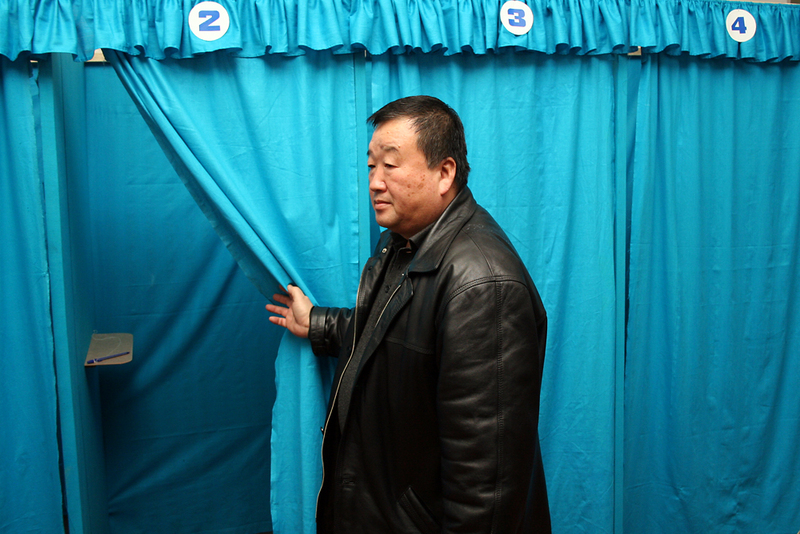 No opposition parties are permitted to legally exist in Uzbekistan, and independent candidates are barred from standing. HRW and other watchdog groups routinely rank Uzbekistan as among the most repressive states on earth. That reputation is not stopping strongman President Islam Karimov from touting this election as evidence that Uzbekistan – which he has led for over two decades, brooking no opposition to his iron rule – is on the path to democracy. Uzbekistan is “building an independent democratic state” and “creating a civil society” that prioritizes “human interests, rights, and freedoms and the supremacy of the law,” he claimed in his Constitution Day speech earlier in December. Critics say Karimov is merely attempting to add a democratic veneer to a dictatorial system. Thousands of political prisoners are languishing in jail, the media is muzzled, and most civil society activists are “either in prison or in exile,” said Nadejda Atayeva, a France-based human rights campaigner exiled from Uzbekistan. The public will dutifully turn up at polling booths to avoid reprisals, he added, but will cast their votes without enthusiasm. “People have gotten used to all these elections as something staged, and they don’t really care what the outcome will be, because most people think it will all be the way the authorities want it to be,” he said. International observers will be in Uzbekistan on election day, but the Office for Democratic Institutions and Human Rights, or ODIHR, the election-monitoring arm of the Organization for Security and Cooperation in Europe, will field only a limited mission, partly due to what it describes as “the limited nature of the competition” in the election. ODIHR has never deemed conditions conducive to sending a full observation mission to Uzbekistan, or judged an election in the Central Asian nation to be free and fair. That may be designed to help bolster the legitimacy of another, far more important vote next year: a presidential election due in the spring, in which Karimov has not stated if he will stand, although he has hinted he will.